We are taking reservations for our Spring 2019 litters! 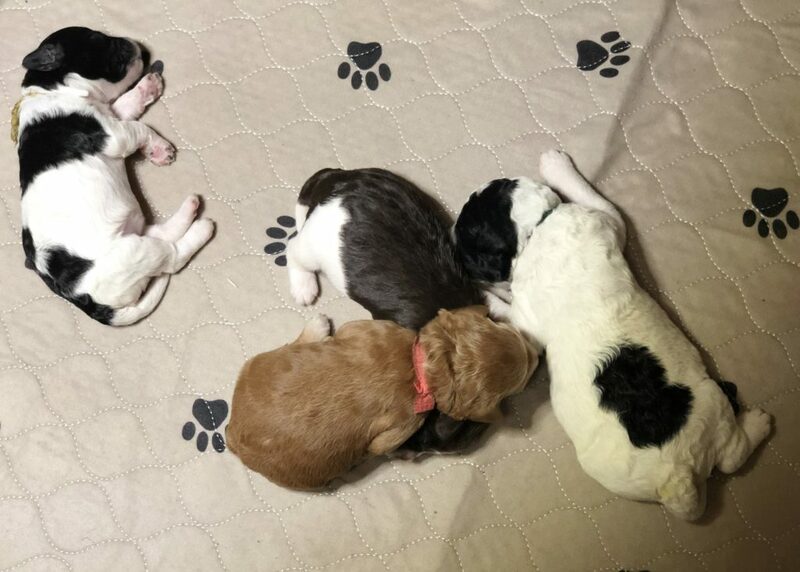 Complete the Puppy Application and place a deposit in order to reserve a puppy, Our puppy selection is based upon the order in which deposits are received. Details about each litter are below. We are excited about the repeat breading of Phoebe and Blaise. Their seven beautiful puppies pictured below were born March 25. We have a fantastic assortment of colors from creams to caramels - some are partis, others have white mismarks. They will mature to 30-35 pounds. 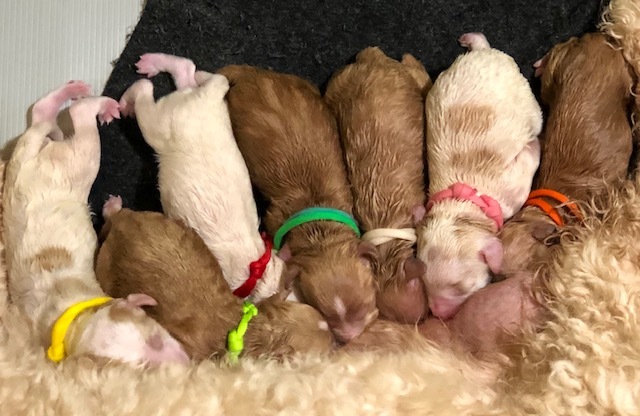 Paisley and Blaise's litter has arrived and will be ready for their forever homes on May 26, 2019. This beautiful litter is a mixture of parti and solids and will mature to be small-mediums in the 28-30 pound range. This reservation list is full.